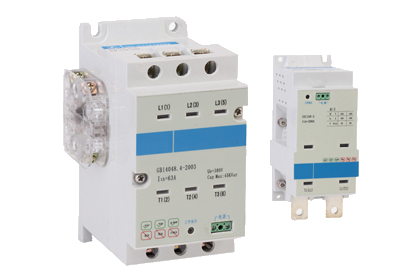 Absolutely zero closing current and zero opening arcing voltage. Turning ON and Absolutely zero Power consumption during OFF state. No series reactor maybe require din PFC application. No harm on iccontamination occurred duringoperation. very high life expectancy if compared with traditional contractors. Compact size with no heat sink required. Differentmodelsareavail able to be used in many industrial applications. switches are activated. After short delay, an electrome chanicallatchedrelay is activated. heating of the semi conductors witch. trouble-freecycles with very low power consumption in a compact and modular switching package.